I’m so delighted that Carole from carolem beauty. 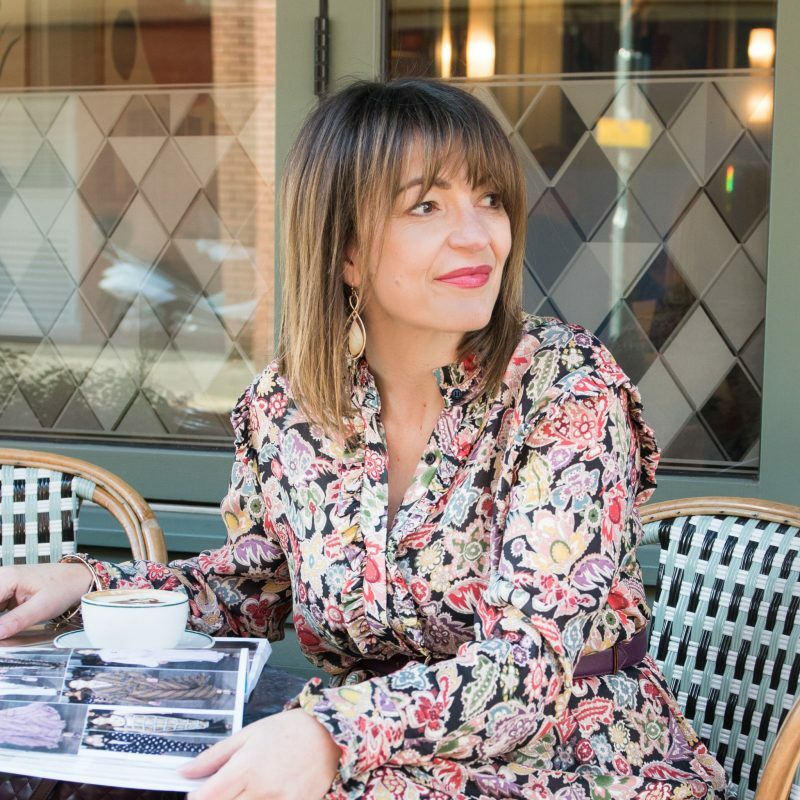 was happy to guest blog on her thoughts on sparkle and make up for the festive and holiday season – she’s also kindly used Christmas decorations to get you in the mood on her photos. 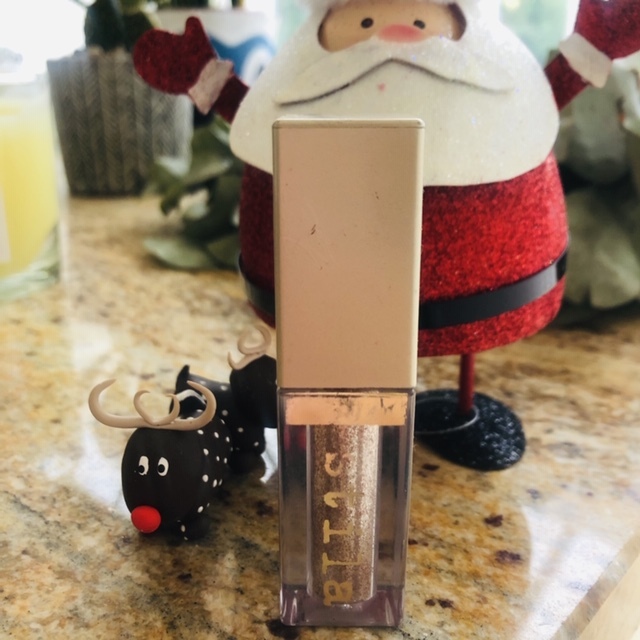 I love Carole’s tip to put your foundation and concealer after your eye make up, this is so useful as trying to clear up excess glitter is a nightmare! It’s that time of year again when we have an excuse to put on all the glittery and sparkly makeup we want. To be honest though I like to squeeze a bit of glitter into my makeup all through the year. It makes me happy so that can’t be a bad thing can it? I also don’t subscribe to the thinking that we shouldn’t wear glitter or sparkle over a certain age. I am 43 and don’t plan on stopping anytime soon. Eye makeup is where I like to focus my festive party look. I am a fan of a smokey eye normally and so adding some glitter and sparkle to my eye makeup works well. There are various ways of “jazzing up” our eye makeup from a subtle sheen to the full on va va voom look. 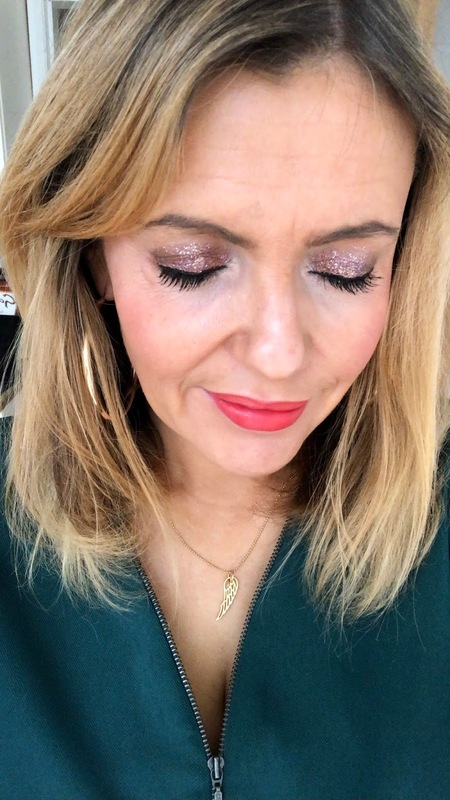 If you pop a bit of glitter or shimmer into the inner corner of your eye this can also make you look awake and ready to take on all the festive fun without looking like a Christmas bauble. A shimmery or sparkly eyeshadow to wash over the eyelid is a good way to add a bit of something extra to your look without going crazy. I like to add a touch of glitter to the middle part of my eyelid after putting on my eye makeup. This really makes the eyes pop and with this you can go as crazy or as subtle you like, depending on the products you use. My current favourite products are the Stila Magnificent Metals Glitter & Glow Liquid Eye Shadows. There are gorgeous and come in excellent shades as as they aren’t purely glitter. 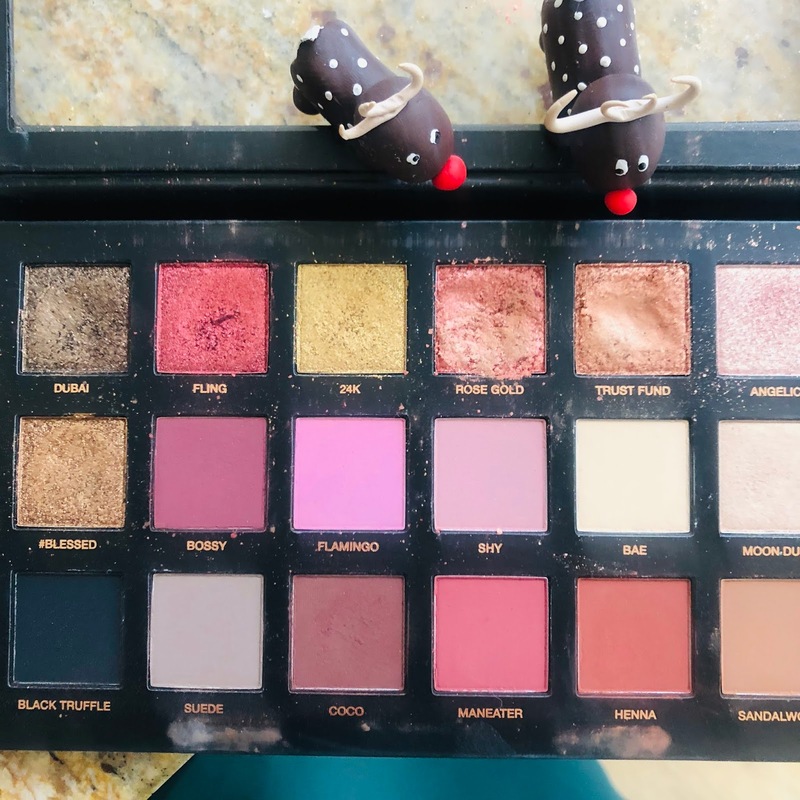 they can be worn on their own or over your eyeshadow, which is how I wear it. 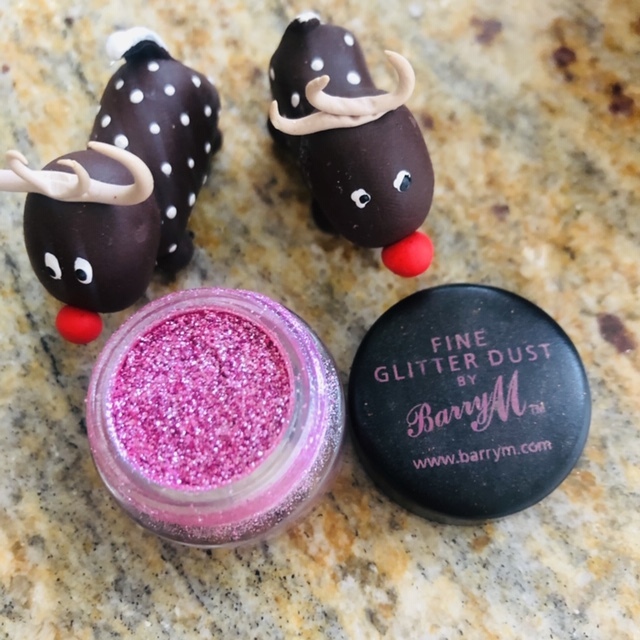 I also like Barry M’s Dazzle Dusts – they are a loose powder so can be a bit tricky as they can go all over your face! They do add great sparkle though. I often apply my foundation and concealer after doing my eye makeup. It saves you having to try and save it when glitter or shadow falls down onto your cheek or under your eyes. 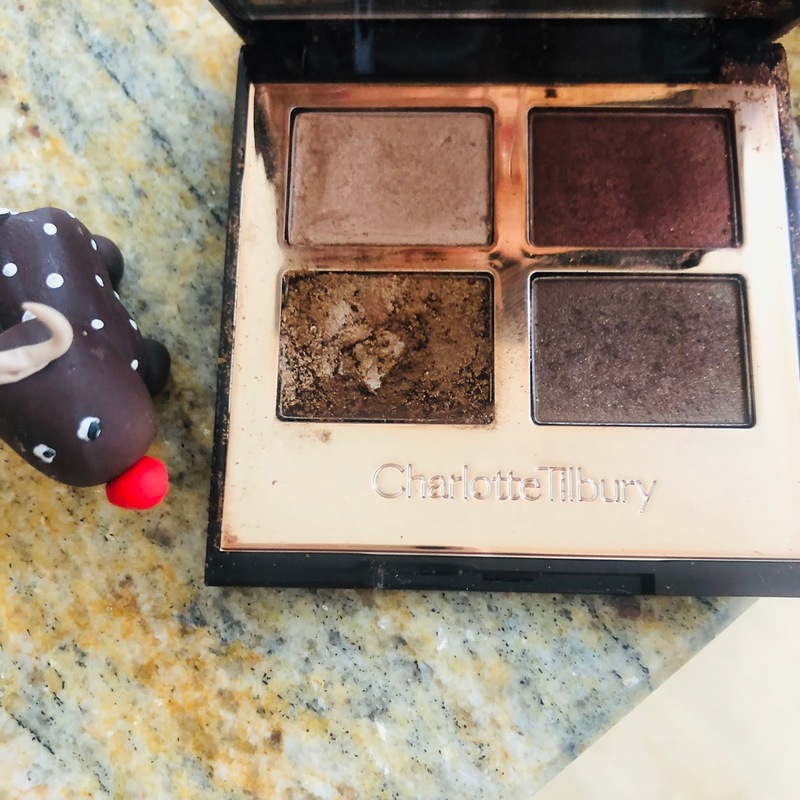 There is a lot of eyeshadow palettes about at this time of year and they often have a couple of sparkly or glitter shades. . Charlotte TIlbury’s quads usually do as do the larger Huda palettes which are some of my favourites. Urban Decay have a fabulous selection of individual sparkly eye shadows in lots of different shades and are great. Glitter or sparkly eyeliner is also a fun way to add a bit of sparkle to your look. Urban Decay do a good one as do good old Collection makeup. I do tend to think with fun and quite seasonal makeup it’s not always worth spending a lot of money. Particularly if come January you are unlikely to wear them again. You can either use an eye pencil with glitter or sparkle running through it or liquid eyeliner with the little brush. 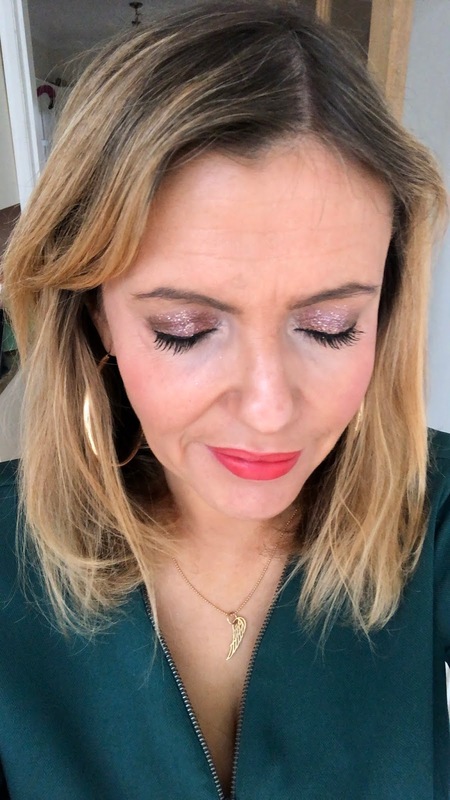 There are glitter lip glosses you can buy which is an area I haven’t ventured into as I think with my strong eye makeup it would be too much (even for me!). However, you could do a wash over a neutral eyeshadow, apply mascara and then a glittery or sparkly lip could work and would be fun. I tend to go for a bold lip at this time of year and a red lip is always a great look and so festive. 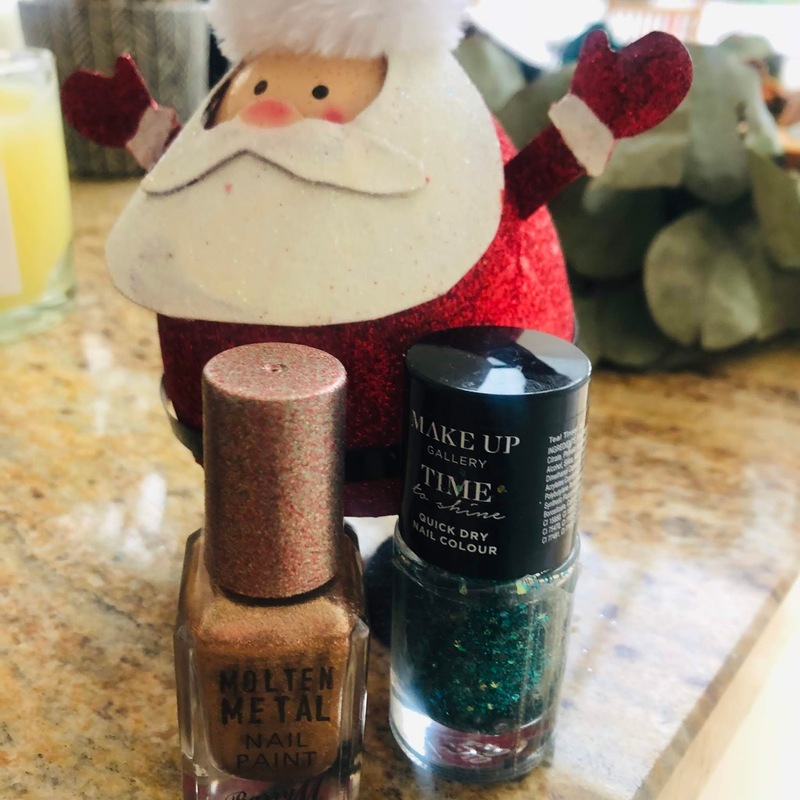 Or if all of the above doesn’t float your boat there is always glitter nail varnish to add a bit of sparkle to your look. I love Barry M but so many companies do them and there is such a wide range of colours out there too. 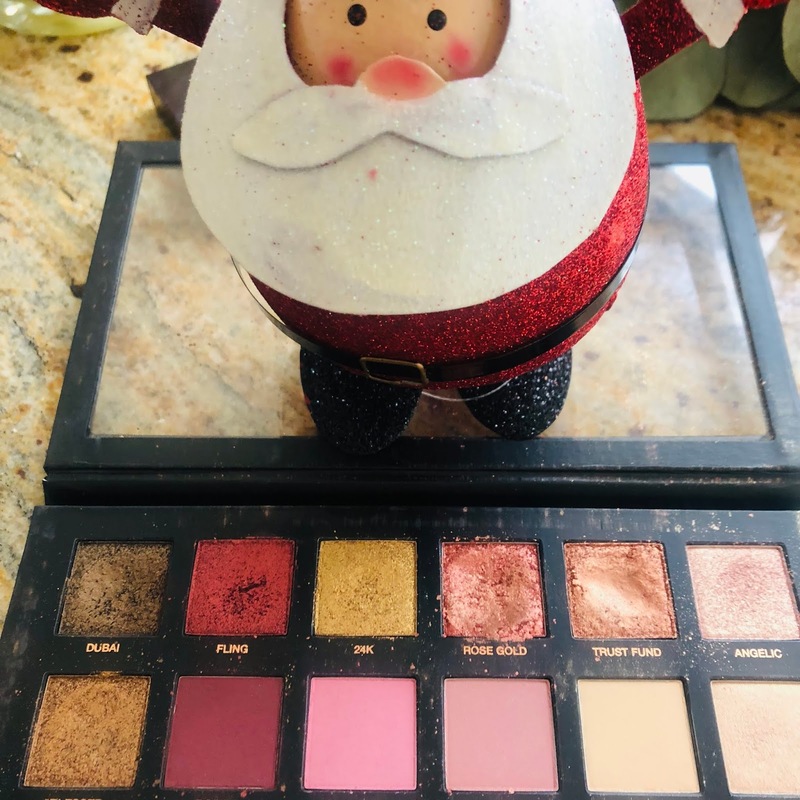 The most important thing is, glitter makeup or not, that you have the most fabulous festive time.